Sohm School Support is the short title for the UK Sohm Secondary School (The Gambia) Support Trust, established in November 2011. It was set up by Sandra and John Walker, following a visit to The Gambia earlier that year. We were impressed with the work undertaken by a Jersey couple, Robin and Carol Mallet, in establishing a secondary technical school in the village of Sohm, close to the Gambia's borders with Senegal. Robin and Carol, for over a decade, raised money to build the school in Sohm, where there had been none. School buildings built by our Jersey colleagues, now they need equipping - our job! 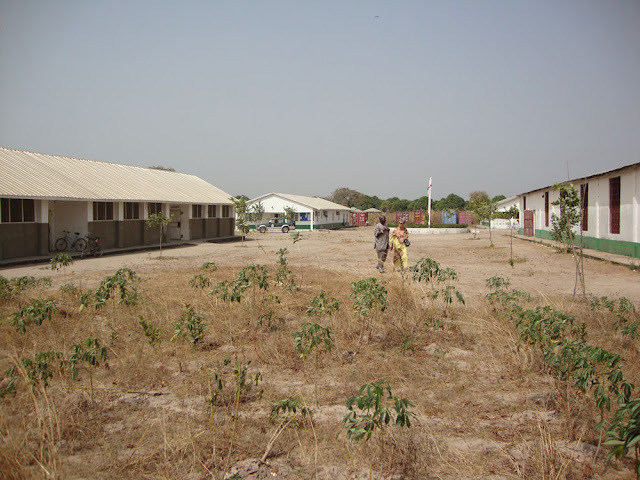 Recently, as it has become a more general secondary school, Robin and Carol continue to find money for developing the school's buildings and The Gambian education department pays the salaries and running costs of the school. Our charity has been established, in the UK, for the sole purpose of improving the quality of education in the school, and its local feeder school - Sohm Lower Basic School.